Rovio has launched a new Angry Birds Seasons update with the latest pig-pounding instalment, dubbed Piglantis, introducing new underwater physics to the app sensation. 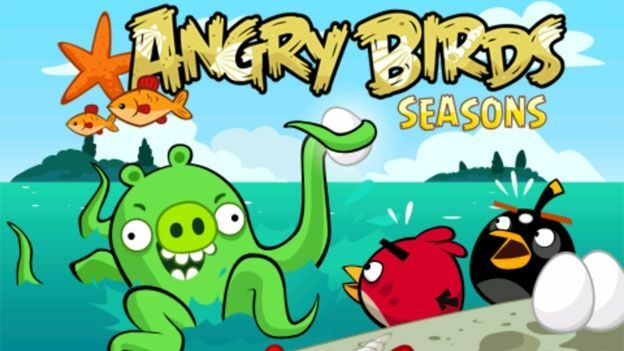 Ensuring the summer months are spent in bird-flinging glee, the Finnish app developer has launched the new Angry Birds Seasons Piglantis update bringing 30 new levels of underwater action to the seasonal iPhone and Android applications. Building on the success of its recent gravity defying Angry Birds Space release, Rovio has brought underwater physics to its Seasons release with those pesky pigs and their stone barricades sinking to the bottom of the ocean whilst wood and the protagonist birds float once having taken a dip. Available as a free download for existing Angry Birds Seasons owners, the Atlantis mocking app add-on lines up alongside previous Seasons updates that have seen the now infamous Angry Birds pop up in Halloween, Easter, Chinese New Year and St Patrick's Day themed locations. Are you still an avid Angry Birds gamer or do you feel the globally dominant app has run its course? Let us know via the T3 Twitter and Facebook feeds.